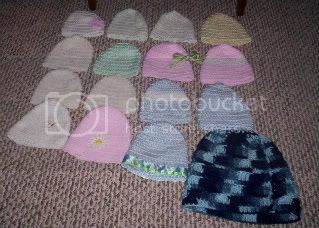 The baby hats are going to Bev’s drive for the Nevada hospital. The big hat is going to end up with the Bridge Project, but I want to make more stuff before I send it on down. Yay for cute and funny baby hats. I’m glad to see you still making progress. I hope all is well for you as January pulls to the end.